Here are seven things I wish I knew before starting my private practice. The amount of time spent in the first year setting up your business is enormous. Taxes, supplies, insurance panels, marketing, promotional materials, networking, etc.. It all takes a lot of time to learn. 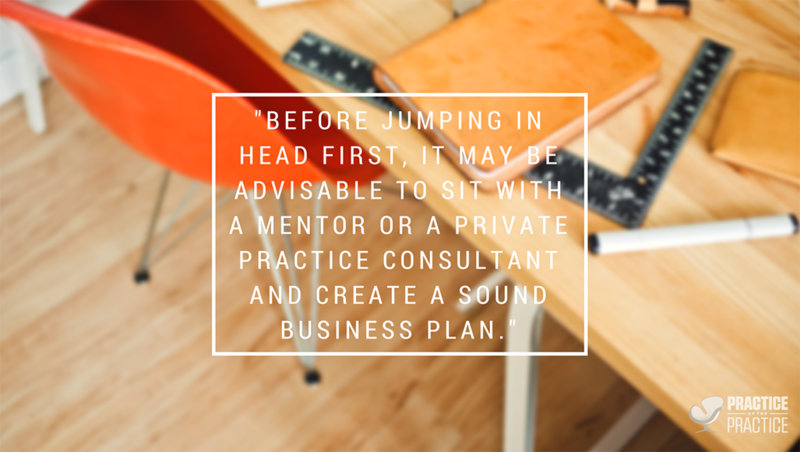 Before jumping in head first, it may be advisable to sit with a mentor or a private practice consultant and create a sound business plan. Starting a business is like having a baby. There will be some labor pains along the way. Private practice consultants such as Joe Sanok (practiceofthepractice.com) and Zynnyme.com can act as your business’s epidural and save you some of the initial pain and bewilderment. I didn’t learn about either resource until I was mid-stream. Looking back it would have made a big difference! There are a lot of things you don’t know that you don’t know. This is where someone who has been through the process can help you get off the ground and running more efficiently. While you may think other people in private practice can or will help you get up and running, think again. Their time is limited, they may not be experts and you are competition. A professional consultant has nothing to lose by helping you and will be 100% focused on your needs. If you are a solo practitioner, and not working a second job, or if you are moving into private practice full time, it can be lonely. Unless you are part of a group practice, you will not have coworkers. The same people that used to drive you crazy will start to feel like long lost friends. You will know you have reached this stage when you start thinking your former office mate who picked his teeth and constantly blew his nose was actually pretty cool. Get support! Find other business professionals in private practice to connect with. You can do this through simple networking events, peer supervision, or establishing a meetup group of your own. Having other people that do the same job around you and who are able to share ideas can be immensely helpful and motivating. Notwithstanding, at the end of the day it helps to have someone to talk to about your business that understands the nuances. When I initially looked to rent office space I decided to look within a particular radius of my home. If I didn’t have to drive far to work and it was my choice, why not, right? The short answer is yes and no. While my commute was short, it was probably not the best choice for traffic. Starting out I didn’t know where to look for space and began my search via Craig’s List. This did not yield a lot of options. I decided to do a reverse search using Psychology Today’s “Find a Therapist“. Emailing therapists in towns that I had targeted, I asked if they had any space to rent. I got a few responses and ultimately went with an office that was approximately 10 minutes away. The trouble was, I don’t think enough people went to this town, or passed through for any particular reason, and there weren’t other businesses drawing people in. There wasn’t a major shopping center, many restaurants and in general, probably not much nightlife. I think this translated to a saturation of therapists in an area where people would seek therapy primarily only if they lived in that town. Ultimately, I ended up moving to an area that had much more traffic, nearby universities, cultural events, restaurants, and shopping. Everything I read when starting my practice mentioned the importance of having a niche when running a therapy business. Since I had worked with such a varied demographic with varied diagnoses, this task felt like climbing Mt. Everest. I came to find my niche by evaluating the clients I worked with best. It was essentially a process of elimination. While I had a flurry of clients in the beginning, their issues were varied and my approach that I felt most passionate about wasn’t the best fit for everyone. While I could utilize many different modalities, I didn’t love doing it. This translated to a different level of passion for my work, depending on the client, and ultimately caused some burnout. It was the result of a conversation with a colleague where I was discussing cases (protecting confidentiality of course) that I felt I was making the greatest difference, when a lightbulb went off. I felt a certain level of energy in my body and a passion for learning more about particular techniques when I realized where I should be. The beginning of the therapeutic relationship with my clients is where I typically see no shows and people who do not return. This can be very costly when you are holding a space for someone and turning others away. Some clients cannot be billed for no shows, per particular insurance regulations. For the ones who can, it may be advisable to seek counsel around the legality of having a credit card on file for such instances. In addition, having and establishing the expectations around attendance early on can save you many headaches later on. It may be advisable to set a standard related to a particular number of cancellations allowable within a year. You have to be comfortable setting boundaries if you want to model it for others. Remember you are running a business! A basic tool I learned is to tell everyone what you are doing. It may feel vulnerable putting yourself out there in this way but it helps move the energy around. I talk about this in my article “Fear and Starting a Private Practice”. This is when having a niche, and related elevator speech, comes in handy. Such as “I work with treatment resistant men” or “I work with women by helping them get unstuck in work, love and life”. 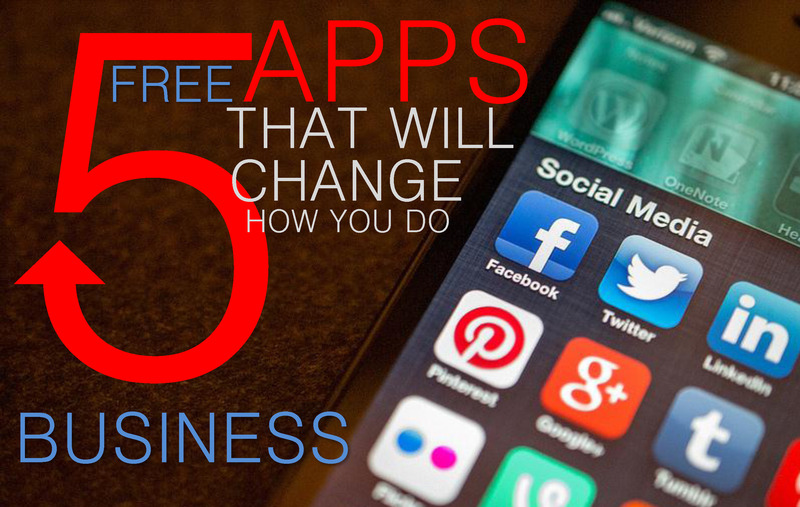 Hand out your business cards at your barber, nail salon, dentist, doctor, pediatrician, etc. After all, these people know what it’s like to run a business. I have gotten referrals because of a conversation in the nail salon. In addition, I recommend putting a professional photo on your business card. People get business cards all the time. If you go to a networking event you will leave with a handful and it’s hard to remember who people are. Have a professional photo taken, by someone with experience doing head shots, that knows how to use proper lighting. While your child may be able to hold your iPhone or you can take an awesome bathroom selfie, this is not the time. You may think you know what a good photo is, but many people do not. A professional that specializes in this area can capture an image that will bring out the real you and that is what you want to use to connect to clients. In the beginning I, like you, wanted to spend as little as possible on my business. However, hiring people to do things that you don’t like, or are not an expert in, is a good idea. One such example is billing insurance. While it’s relatively quick and simple to send a bill off, it’s the other shenanigans that can tie you up, costing you time and money. Time spent on the phone to determine how many visits someone gets initially and how many visits they have already used, as well as their start and stop dates can literally take hours. A claim can be rejected because of a typo and if you don’t know it and the person on the phone is giving you a different answer, that does not make sense, it can tie up hours. Calling and being transferred four times, waiting through automated messages to be hung up on, can tie up hours. The bottom line is these are hours you could spend networking, marketing, seeing clients, holding a workshop, or completing any other task that helps you propel your business. My friend Melissa, at MV Medical Billing and Coding, has spent years learning all of these details. Hiring someone like Melissa can save you time and make you money. It’s also likely to save your sanity, by not feeling trapped by lengthy phone calls when you have other work to do. Tara is a licensed professional counselor, licensed alcohol and drug counselor and certified yoga teacher. She has worked in behavioral health for over 16 years and currently has a private practice in West Hartford, CT. Her writing has been featured in Wallingford Connecticut Magazine and she is a regular contributing guest on Radio 103.5FM WNHH “The Culture Cocktail Hour”. She is passionate about helping women get unstuck in work, love and life. To find out more about Tara visit taratherapyct.com, http://www.facebook.com/taratherapyct/, and twitter @taratherapyct.